TaskClone's powerful Asana integration is easy to setup and and offers flexibility to send tasks to any Asana project. IMPORTANT: We now connect to Asana two ways: Direct & Email. Direct setup is easier. Initial setup uses this process. Email setup takes a few extra steps, but is available if you need it. The instructions below cover both. Note: For instructions on connecting your Source App before connecting Asana, see Connect Evernote or Connect OneNote. Click in the search field and find Asana (direct). 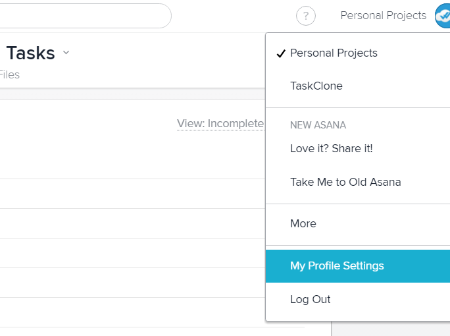 Once selected, click the "Connect Asana" button. 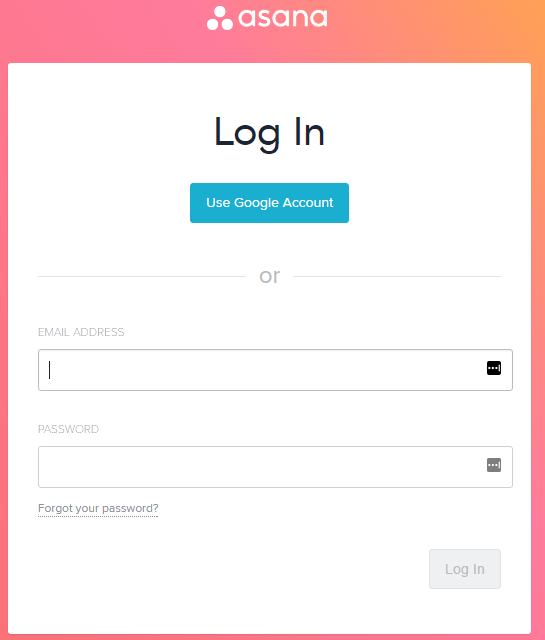 Login to Asana in the pop-up window that appears. IMPORTANT: You must disable any pop-up blocker to see the pop-up window. After authorization, you will be prompted to select an Asana Workspace. Learn where to identify your available workspaces. After selecting a Workspace, you will be prompted to select an Asana Project for your tasks. Click "Save & Finish" button after selecting your project. Note: You will need access to your Asana account in a browser to complete this process. Enter x@mail.asana.com as Destination Email. Enter it exactly as written. Yes, the "x" stays an "x" and you don't change it. 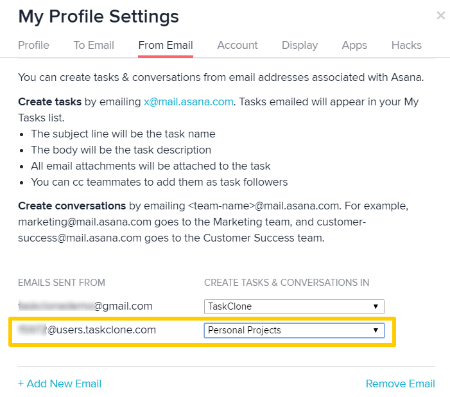 Important: Asana uses a universal email address for the inbox of your workspace - x@mail.asana.com. You can change to a different project after initial setup. 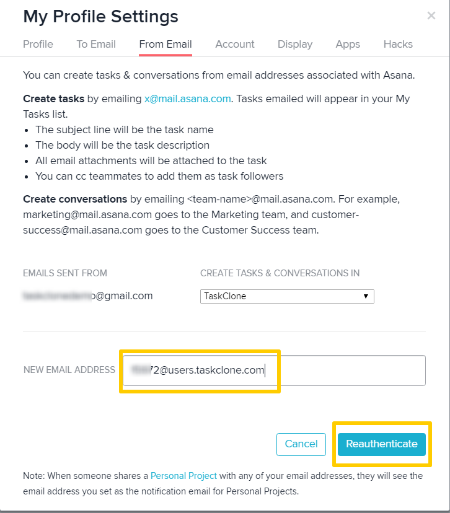 When prompted, Register your TaskClone Email with Asana. A. Copy the TaskClone Email (see example below). C. Click + Add New Email. 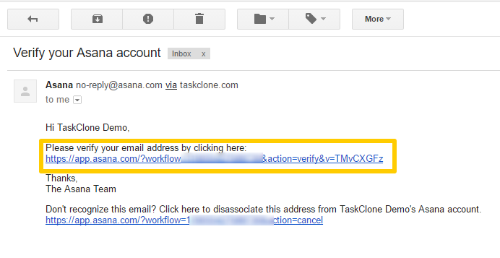 D. Paste the TaskClone Email in the email field and click Reauthenticate. E. After you re-authenticate in Asana, Click the verification link Asana will send to your email address. 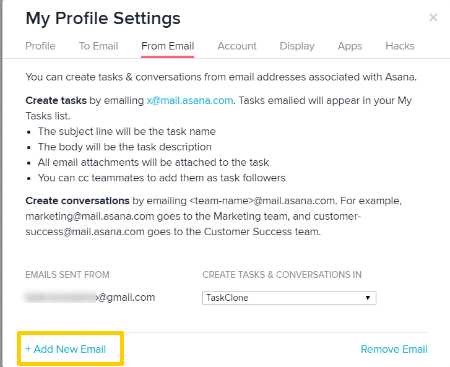 F. Asana will re-open and you will see your TaskClone Email is now registered to send emails to Asana. You can select the workspace where the emails will go. In TaskClone, click the Save & Finish button and setup is complete!